The Karcher range of floor sweepers is robust, sturdy, and one hundred percent trustworthy. The German-engineered brand is proudly brought to Perth by Rosher. Whether it is a smaller push sweeper you require for your home and garden needs, or a larger ride on floor sweeper for bigger industrial and professional uses, a Karcher sweeper will always do the job. Karcher’s range of S500, S600 and S750 floor vacuum sweepers is available from Rosher for all home and garden needs. The range of floor sweepers with rotating brushes ensures even cleaning against every edge. The units are easy-to-use, height-adjustable, and completely ergonomically safe. The Karcher range is easy to transport, robust, and will meet any outdoor or small garden need. 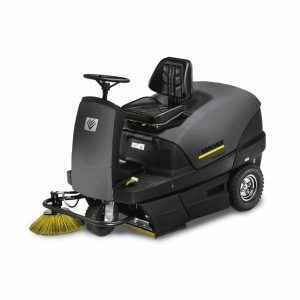 The professional range of Karcher floor sweepers offers an array of convenient, economical units to choose from. For smaller retail, office, or commercial needs where a quick alternative to sweeping is needed, Karcher’s range of cordless power sweepers will be the perfect match. They are compact, easy-to-use, and convenient. For larger-scale industrial needs, the electric floor sweepers and outdoor vacuum sweepers from Karcher will be the workhorse you need. This range offers gas-powered units that are robust, well-engineered, and high-tech making sure they adjust proactively to the terrain they’re working on. 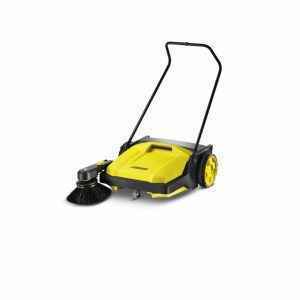 Rosher is the proud dealer of Karcher pressure cleaners, sweepers, scrubbers, vacuum cleaners, and other Karcher accessories and equipment in Perth. Visit us at our new, dedicated Karcher showroom in Malaga today to view our full range of products. The dedicated, highly-qualified team of service technicians will gladly assist with any technical or service related query on the Karcher product. Regular maintenance will ensure the long-life of your Karcher sweeper, which the service technicians will gladly undertake for you quickly and efficiently. For all your robust, top-quality Karcher sweeper needs, call Rosher today.